This CD was Phantom Planet's first full length album. It can be pretty hard to find in some places, but most music stores can order it for you. My favorite song is either "Lisa" or "Rest Easy". Jacques actually sings lead on "Rest Easy" instead of Alex. Phantom Planet actually performed on an episode of this show. This song is played when Melissa Joan Hart (the lead girl) takes the lead guy (I do not remember his name) shopping at the mall to buy new clothes. There is also a snippet of a song called "The In Crowd" that is played when the video of the popular people is shown in class. 6.Can You See Me Now? Polaroid is not available in stores but if you are one of the lucky people to have one...Yeah! 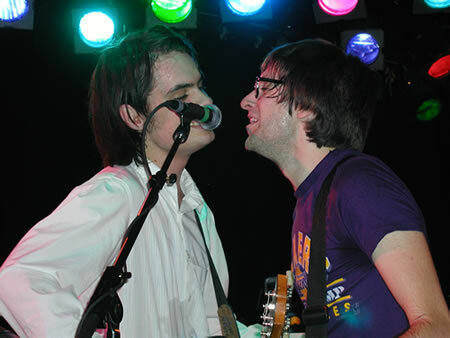 The Reprise has Alex on piano and Jacques using an e-bow on an acoustic guitar. Then the first 10 songs are songs that were recorded for Is Missing but did not make it onto the CD. 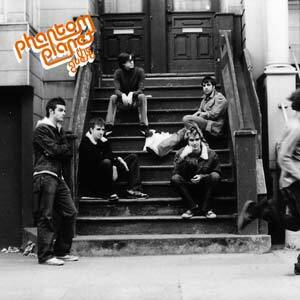 The other 11 songs were recorded at various times throughout Phantom Planet's existence. Thanks Phantom Planet for the cd and cassette cover pictures. Top picture in the middle yellow section is property of Ashley Beasley.